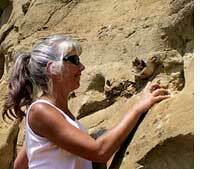 Palaeontologists dug up a dinosaur bone buried for 80 million years in Montana, usa. The find yielded blood and bone cells and collagen protein--soft tissues that generally do not fossilize. Analysis of the samples revealed a genetic link between dinosaurs and birds. The belief that birds evolved from dinosaurs was so far based on the architecture of bones. This research, published in the May 2 issue of Science offers genetic proof for the link and emphasizes a re-evaluation of existing theories on fossilization. The global honeybee population reduced drastically between 2005-2007. The varoa mite and the colony collapse disorder were blamed.This led to fears of pollination crisis--a notion that decrease in the number of pollinators would threaten world food supply. Analysis of unfao data revealed the global domesticated honeybee population has actually risen 45 per cent, driven by a demand for honey, over the last five decades. While this bodes well for bee-pollinated crops, the study published in the May 7 issue of Current Biology, also noted that demand for insect-pollinated crops--mangoes, plums--tripled over the last half century, indicating a supply under stress. This could worsen as increasing demand for agricultural lands might lead to destruction of habitats that support pollinators and, in turn, cause the yield of insect-pollinated plants to drop. Presence of albumin in urine can indicate risk of venous thromboembolism. In this, a blood vein develops clots that can eventually harm the heart and lungs. A survey indicated that 129 out of 8,574 people with high levels of urinary albumin excretion developed venous thromboembolism. The known risk factors include slow blood flow and changes in its composition. The findings, reported in the May 6 issue of the Journal of the American Medical Association, for the first time links kidney malfunction to blood clots. Earlier studies have linked excess intake of sugary soft drinks to increased risk of kidney damage in women, which in turn, fuels the risk of high albumin excretion in urine. Scientists envisage building systems for conversion of solar energy to electric energy, mimicking the basic chlorophyll structures of green bacteria. A study revealed each bacterial cell consists of structures called chlorosomes, each of which has 250,000 chlorophyll molecules. The molecules are arranged in pairs called dimers. The dimers fit like concentric rings one above the other, much like a nanotube. The study, published in the May 4 issue of the Proceedings of the National Academy of Sciences, explained it is this orientation of the chlorophyll molecules that works. These bacteria exist in near-dark environments such as deep inside hot springs. It logically follows their photosynthetic systems, though primitive, are good enough to harvest the weak beams of light they make do with. Now couples can look forward to a male contraceptive injection that is as effective as a female birth control pill. 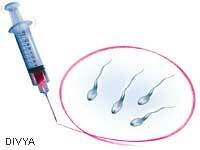 1,045 fertile, healthy Chinese males were injected monthly with 500 mg of a drug, testosterone undecanoate, for 30 months. Results showed 99 out of every 100 males failed to get their partners to conceive. This drug temporarily blocks sperm production. No adverse effects were found and the subjects returned to normal fertility as the drug's efficacy wore out. The long-term effects are yet to be studied, said the report in the May 4 issue of the Journal of Clinical Endocrinology and Metabolism. Human teeth, like glass, crack easily and yet are able to remain intact for a lifetime of chewing. This is due to the presence of tufts--small crack-like flaws--deep inside the tooth enamel, discovered a research team. These tufts arise during tooth development and when the enamel is under pressure, the tufts act as weak points for the cracks to appear. As the cracks grow upwards, the tufts suppress them by distributing the stress among themselves, preventing a potential site for dental decay from forming. The study appeared in the April issue of the Proceedings of the National Academy of Sciences. An infant learns to speak in its native language even before he or she can read. This is because the baby grows up under a constant stream of, what initially seems, incoherent babbling from the ones who care. The same applies to birds that sing. But if raised in complete isolation how would one turn out? 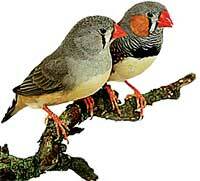 A team raised zebra finches in such conditions. As the progeny grew up they were found to sing a song different from that of their wild counterparts. This song was passed on and with each generation the progeny improvised on it. But this was not done randomly as a few generations later the song almost resembled the normal one. This study, published in the May 3 issue of Nature, provides an insight into how languages evolved to perfection, in a similar fashion.